This is my favorite quilt of yours I have seen. 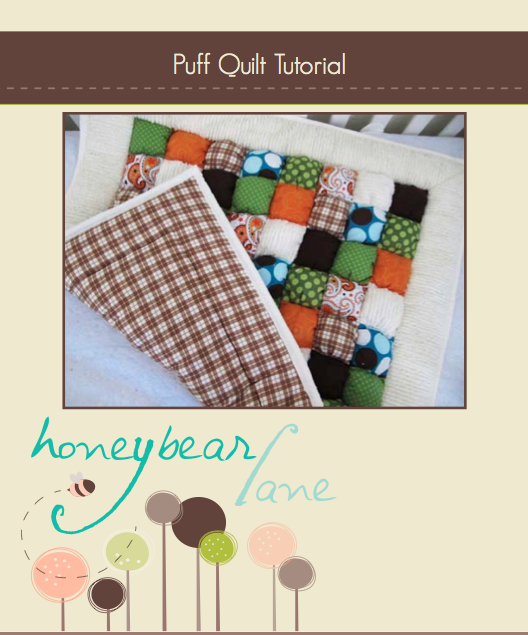 I love the color scheme and the textured squares and the little sateen ribbons are darling! Lol I agree, its almost to perfect. I am going to make one for my little girls room. Her materials consist of black and white polka dot, damask and fuzzy turquoise and pink minky dot fabrics.. Hope mine looks as good as that one! Is that minky dot hard to use? I have heard that it comes apart easy. (I have a lot with a 3 year old and a 3 month old always distracting me… how dare they I know… =) ) Anyways, when you say double up the fabric 4 times… can you explain that differently.. I am really trying here, I have the puffs made, and really want to do the border but I am so lost at how to cut it.